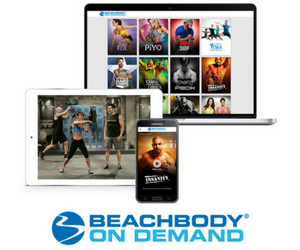 Thanks to NEW Shakeology Boosts, you now have the power to customize and boost shakes to your specific needs. 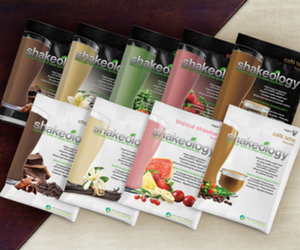 Shakeology Boosts are the easiest and most effective way to customize your shake for even healthier results. Focused Energy Boost helps give you that healthy energy you need without the chemicals. 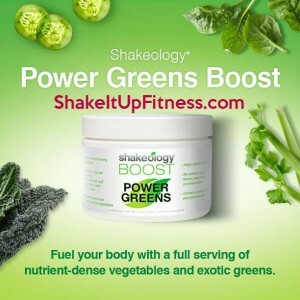 Power Greens Boost helps fuel your body with a full serving of nutrient-dense veggies and exotic greens. 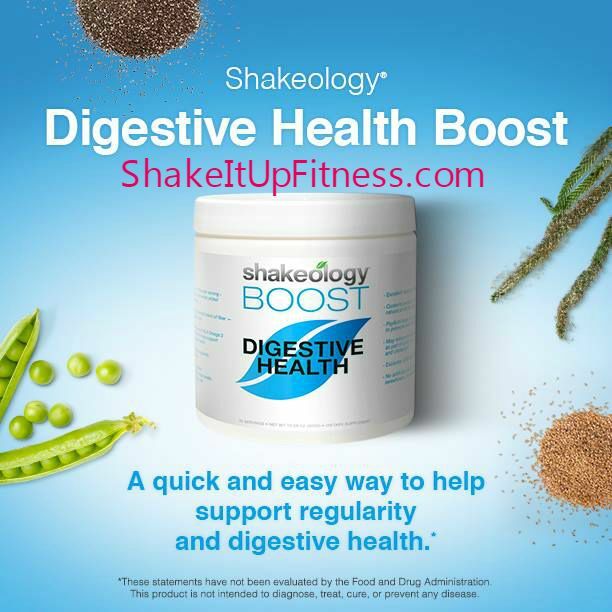 Digestive Health Boost helps support regularity and digestive health with a proprietary blend of 7 g of soluble and insoluble fiber. So when you want to make your shakes as unique as you—Boost Up! 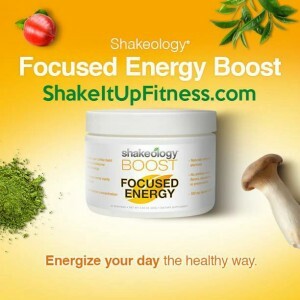 Shakeology Focused Energy Boost is a proprietary blend of herbs, adaptogens, and mushrooms—including ginseng and 100 mg of natural caffeine from guarana and green tea—that gives you a gentle boost of energy without compromising your health. Not only will this amazing boost help you feel more energized, it also supports mental clarity, alertness, focus, and stamina to help you be more productive throughout the day. * And unlike traditional energy drinks that rely on chemicals, sugar, and large doses of caffeine to create energy spikes, Focused Energy Boost contains NO artificial colors, flavors, sweeteners, or preservatives. This boost is a great alternative for customers that are looking to replace their daily cups of coffee. CLICK HERE for Focused Energy Boost. Power Greens Boost is a convenient way to get a full serving of nutrient-dense vegetables that feed your body more of what it’s not getting from the average vegetable-challenged diet. One tiny scoop is like eating 2/3 cup leafy greens, 1/3 cup cucumber, and 1/3 of a large celery stalk! Plus, this Shakeology boost shake helps support the body’s acid/alkaline balance. It doesn’t matter how much or how little greens you currently eat, your body can always benefit from more. Even though Shakeology is packed with superfoods, the reality is, you can never get enough greens. Maybe you’re a veggie hater. Maybe you’re on-the-go and the menu options are veggie-challenged. Or maybe you’re a firm believer that more is better. The bottom line is when it comes to greens, more is better. Did you know the average American gets less than half of the Daily Recommended amount of fiber? Now you can get over half of your Daily Recommended amount of fiber when you add this boost to Chocolate Shakeology. Plus, Digestive Health Boost supplies your body with a potent blend (7 grams) of both soluble AND insoluble fiber, setting this formula apart from typical fiber supplements that only contain soluble fiber. Depending on your changing lifestyle and specific dietary needs (whether you have digestive issues or if you temporarily clogged your system with junk food), there are those times when your body calls for a little more help in the digestion department. So when you’re experiencing irregularity, bloating, or discomfort, this boost shake addition can help with those uncomfortable symptoms while getting you back to feeling like yourself as soon as possible. Shakeology Boosts are for anyone who wants to be healthier than they currently are! Boost are a way to boost your energy without compromising your health. It’s for veggie haters, no matter how hard they try to love the stuff. It’s for people who have digestive issues that Shakeology alone can’t help resolve.